Edge Data Center Market is driven by growing demand for edge and cloud computing technology. These technologies allow organizations to set up their infrastructure facilities close to the source of data generation. It offers complete control over the data processing and storage at the edge of a network rather establishing it in a centralized warehouse. Several advantages of these technologies in the industrial sector include reduced network traffic, real-time data analysis, low operating costs, and improved application performance. The organizations are witnessing a rapid increase in the data processing frequency and rate, enhancing the business operations and fueling the market growth. Moreover, the edge data center market is witnessing a growth due to the increased adoption of these facilities in harsh environmental conditions such as bad weather. These facilities are pre-built, offering protection from humidity, heat, rain, fire, etc., which can cause catastrophic damages to these devices. The products offered by manufacturers in the market are integrated with several cooling and fire protecting devices, saving infrastructure facilities from the external factors that can damage them. The power solutions in the edge data center market was over 35% of the overall industry revenue in 2017 and will witness more demand due to the rising and focused needs across industries for effective power management products to minimize the power consumption of electrical devices. Such requirements are encouraging developers to provide products and solutions that monitor and analyze the consumption of energy by each device. The power management solutions are the most widely adopted technologies in the market that are developed for enhancing the performance of the infrastructure facilities with less operational costs. For instance, Delta Power Solutions is offering several integrated power management solutions such as Modular UPS, PDU, and Rack PDU. The BFSI sector is installing these facilities for managing, storing, processing, and accessing their classified & confidential information. The sector has witnessed a shift with businesses switching from the usage of physical documents to digitization. Banks and financial institutions face challenges arising from large volumes of data processing and storage, which has led to rise in the demand for high quality data center infrastructure. Moreover, banks and financial institutions are increasingly storing sensitive customer information that needs reliable data storage solutions. Increasing IT security threats have forced organizations to invest in reliable facilities, thereby driving demand for the edge data center market. The IT & telecom sector is witnessing a high adoption in the edge data center market. A rapid increase in the amount of data generated in the telecom sector is expected to drive the industry demand. 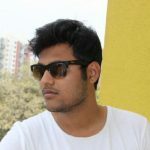 The telecom operators are offering flexible offers, plans, and 4G internet connectivity, which are responsible for the generation of such massive information. Moreover, the companies are dependent on these facilities for a secure environment that will allow them to store confidential customer information to reduce the chances of data thefts. Increasing demand for 5G connectivity in the telecommunication industry is forcing the companies to depend on the edge computing technologies as operators are planning to locate the facilities close to 5G towers. 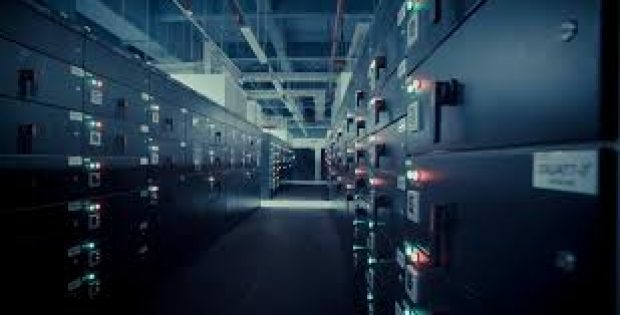 Europe edge data center market will observe traction with the rising interest of global companies to expand their business operations in the region to manage the massive data generated in several application industries. For instance, in November 2018, EdgeConneX announced the acquisition of the Linxdatacenter facility based in Poland. The newly acquired data center facility will support the company’s expanding business operation in the country. The favorable environmental conditions and the availability of other resources, such as suitable government regulations and the availability of the suppliers, are encouraging the players to select the region for deploying their infrastructure facilities, thereby driving the market demand. All in all, the rising network consumption in the telecommunications industry consumers and the augmented utilization of edge computing in other sectors will fuel the global edge data center market, with its valuation estimated to cross USD 13 billion by 2024. Fast-growing companies like Anixter, Cisco Systems, Dell, EdgeConneX, 365 Data Centers, Panduit Corp, Schneider Electric, and many others offer the required edge data center infrastructure, equipment and third-party services.